Yeah we know the whole "sock game strong" phrase. We also know that socks are more important than we all give them credit for. Sure, they make statements, and yes they are now most likely the first thing you size up when you meet up for the group ride or post up at the coffee shop, but ultimately they need to feel good under foot. If your feet go, your mind goes. If your mind goes, your legs go... On and on. You know the story. For our socks we teamed up with the leader: Defeet! 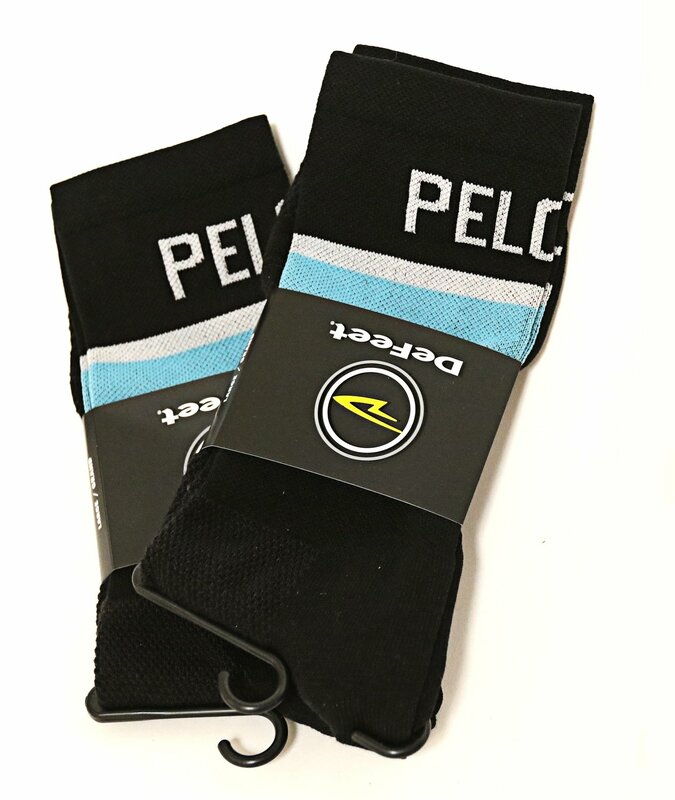 Simple and tasteful with the PELOTON magazine blue and a black body, these socks will flow seamlessly with just about any kit you wear! Six inch cuff. Consists of 60% Nylon; 39% Recycled Polyester; 1% Lycra. Made in the USA.